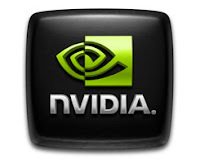 Nvidia put online a new forceware driver for it's graphic cards with version number 275.27, and as usual the new driver include lot of performance improvements this time for the GTX 580 and GTX 560 GPUs. New GeForce Beta drivers are available. This is GeForce Forceware 275.27 for all GeForce 6, 7, 8, 9, 100, 200, 300, 400 and series 500 cards to date.